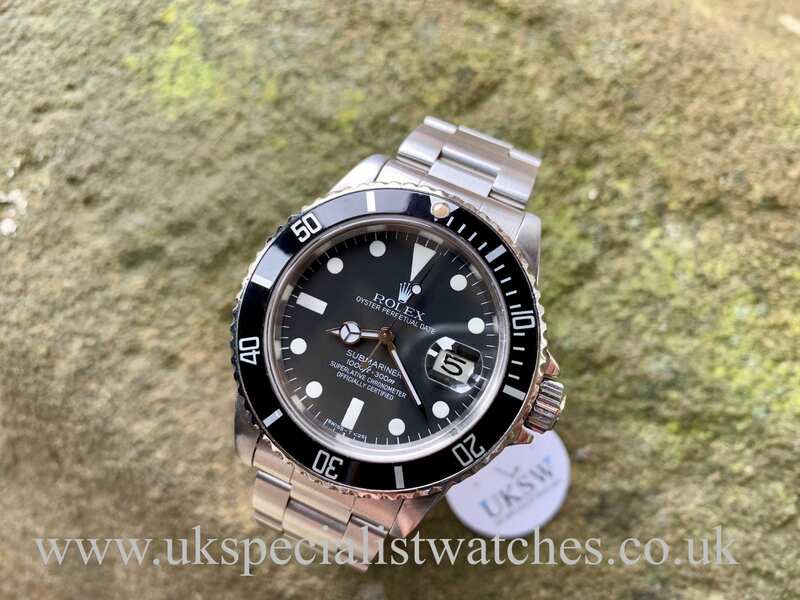 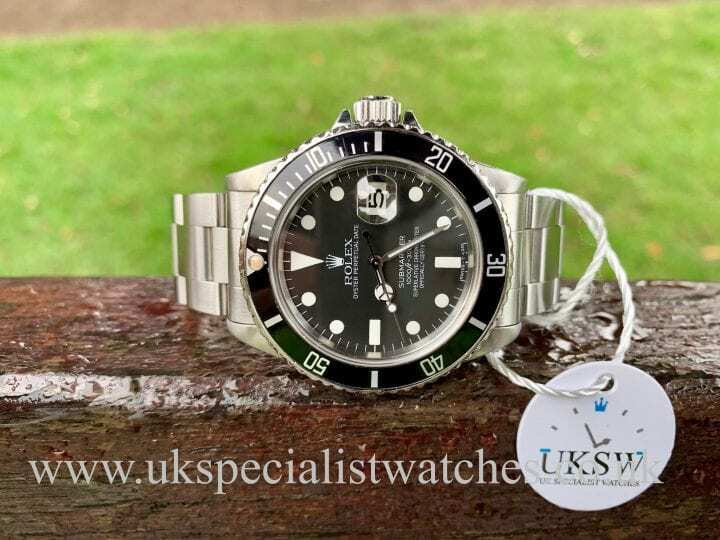 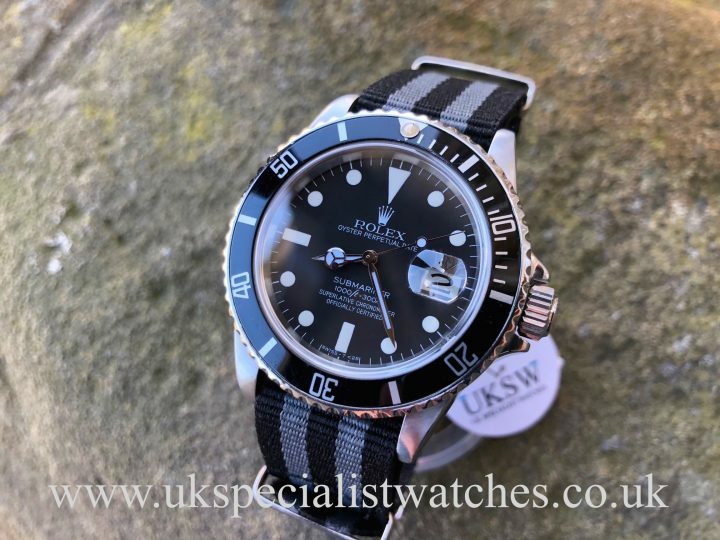 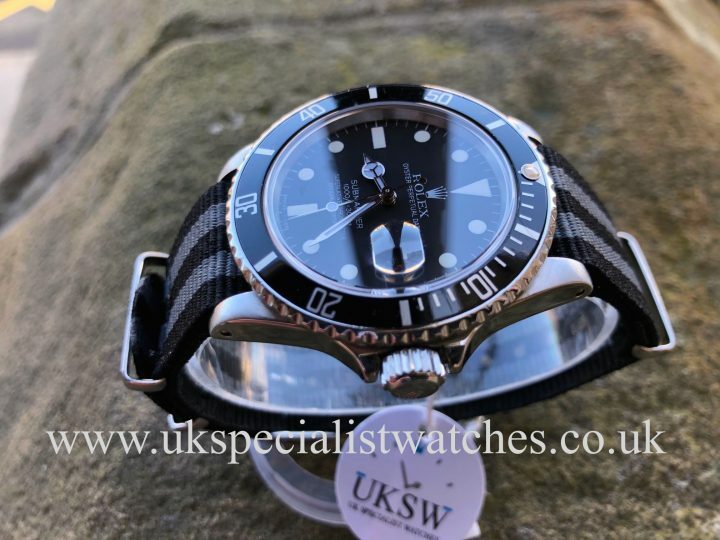 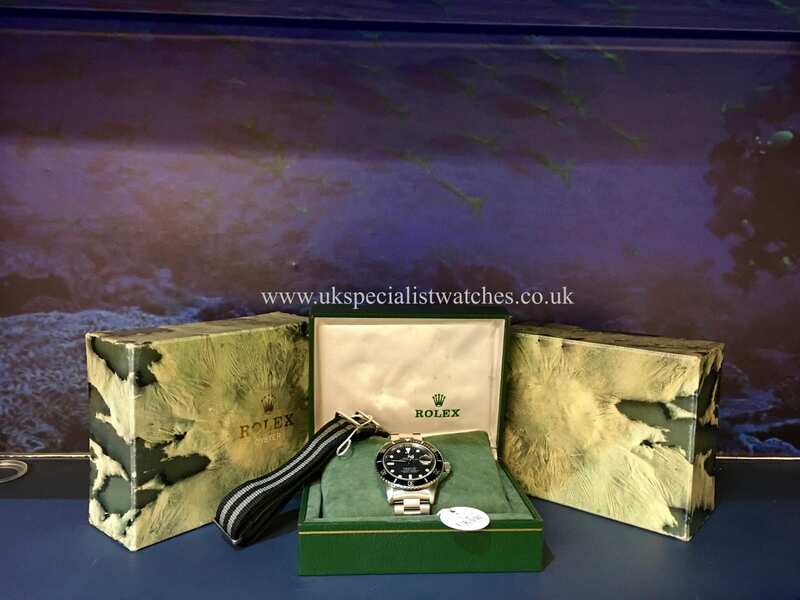 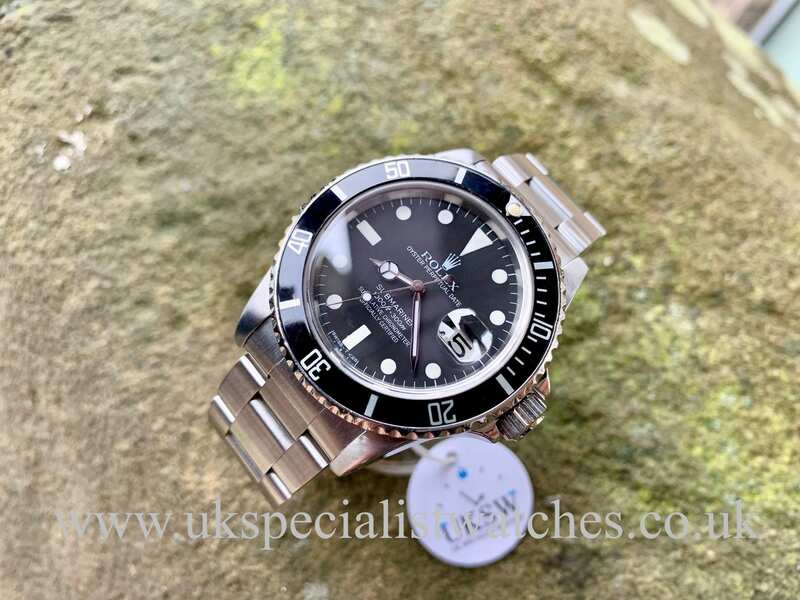 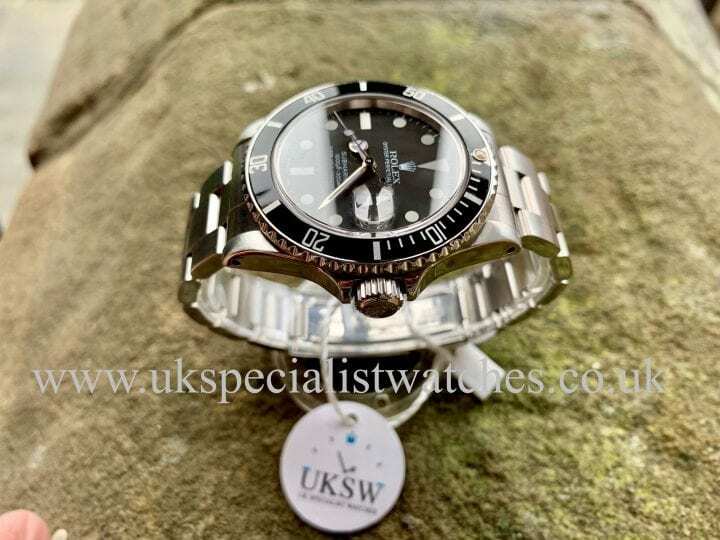 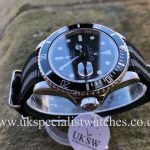 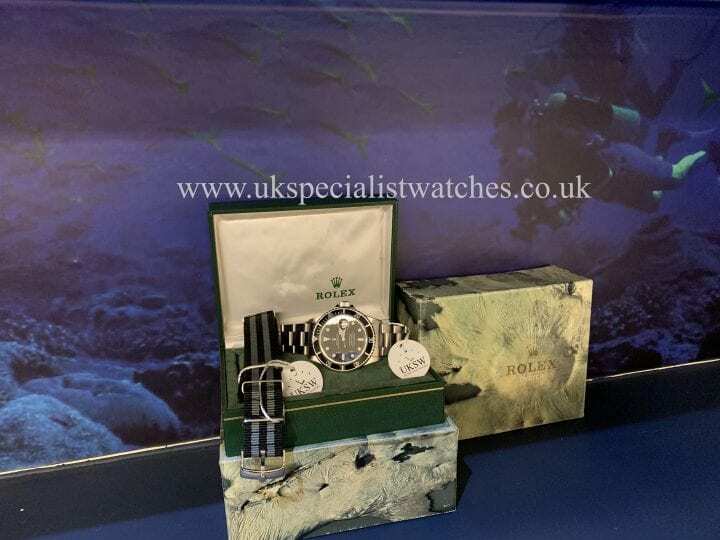 Rolex Vintage Submariner “Transitional” 16800. 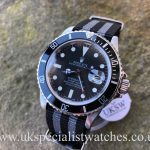 40mm stainless steel case, original matte grey Swiss T25 dial with original bezel insert with creamy pearl and rare sapphire crystal glass. 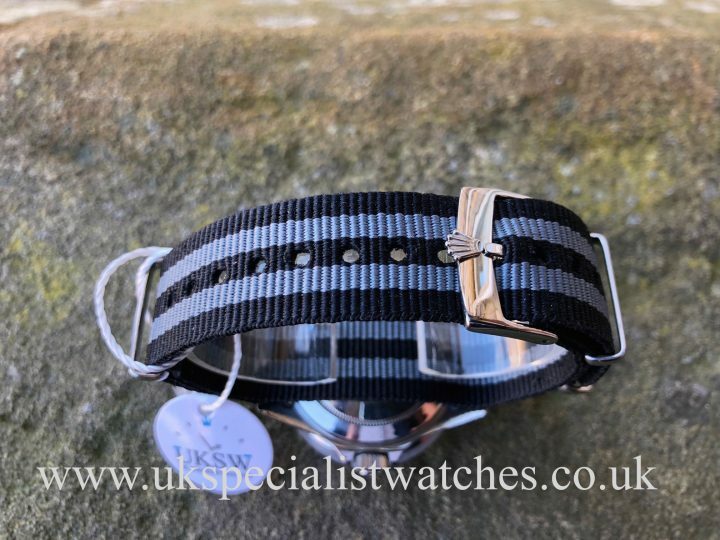 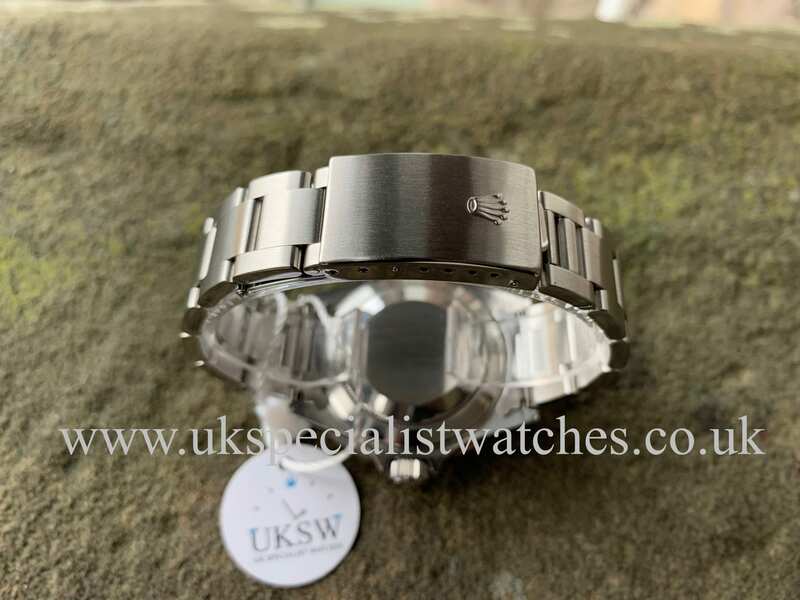 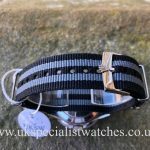 Fitted to a 78360 stainless steel bracelet with an additional nato (James Bond) strap with a stainless steel buckle. 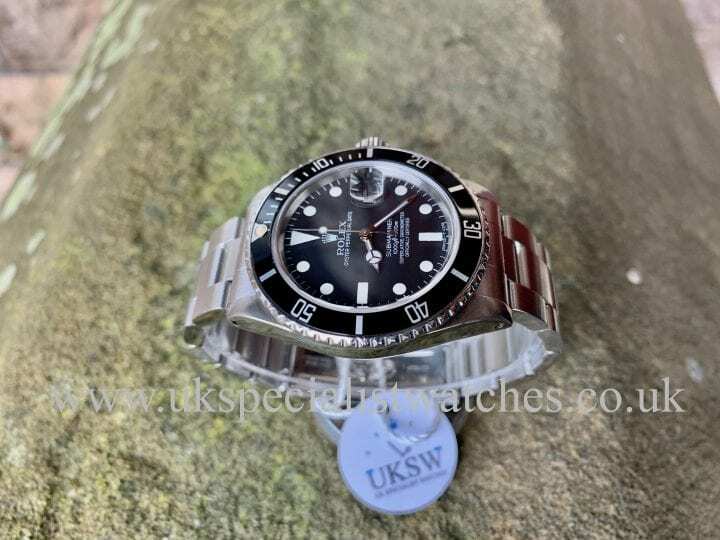 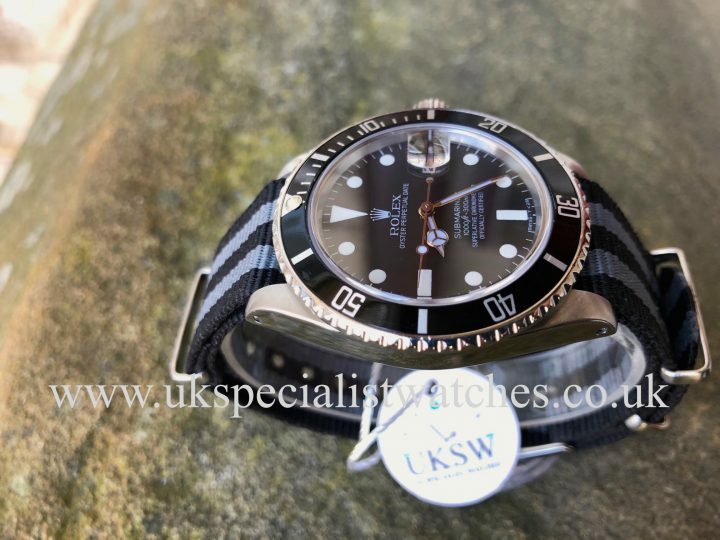 The Rolex 16800 was the very first sports watch to feature the scratch proof sapphire crystal glass nicknamed “transitional” whilst still sporting the vintage looking matte Swiss T25 dial. 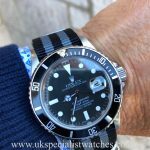 This dial was then changed to white gold indices in 1983. 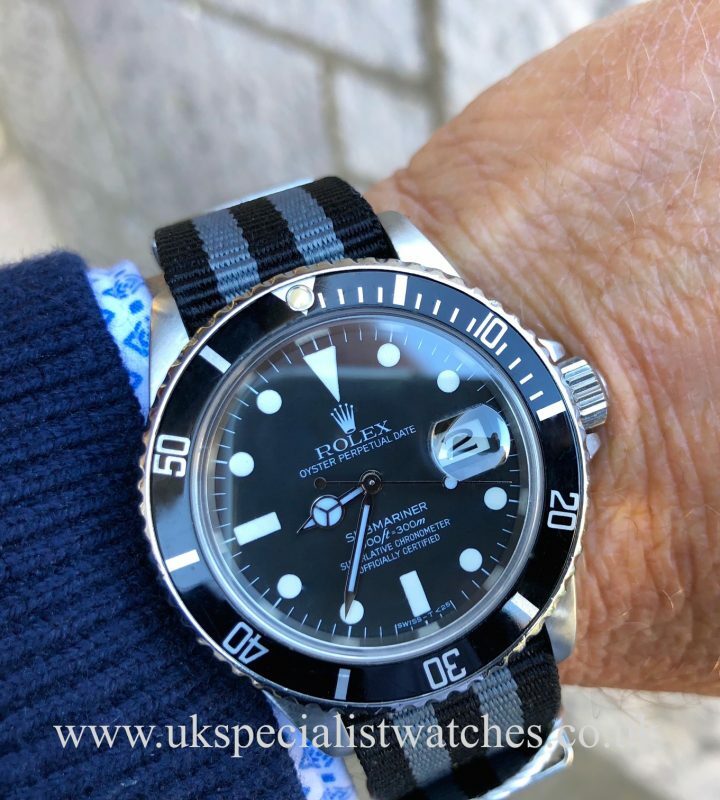 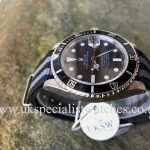 The 16800 is a true milestone watch in Rolex’s history and is a must have piece for any collector especially with these models being particularly hard to find in such original condition! 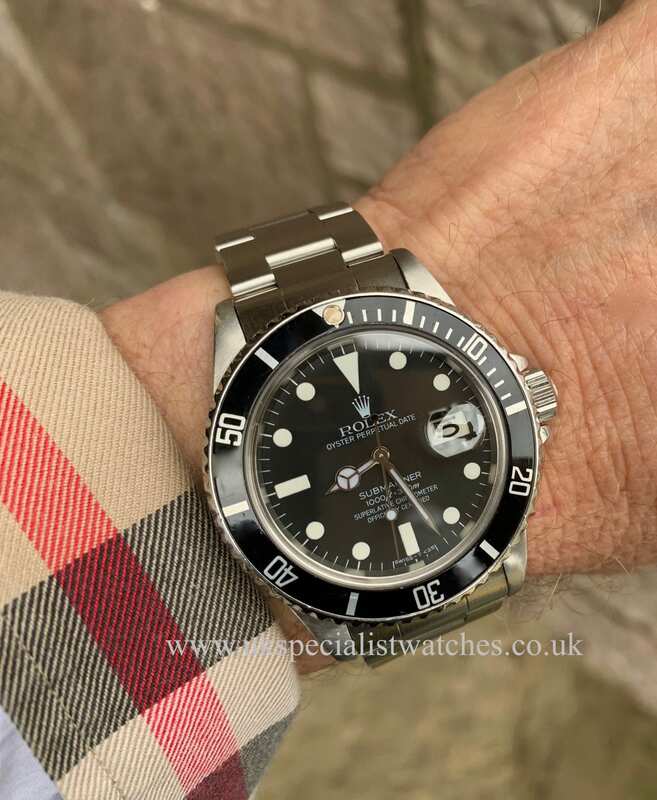 This transitional model only had a very short production run of 1979 – 1983.